Everybody wants to know that they are someone worth loving. It’s a universal need to be cherished by another. In fact, it’s even part of traditional wedding vows. But too often in life I see people who don’t demonstrate that they love anything about their partner. This isn’t okay. There’s much about each of us to be valued and loved. And we should expect that from our partner. 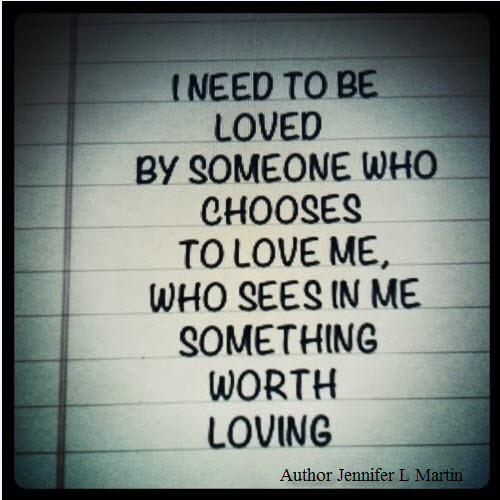 We all deserve to be with someone who sees us as worthwhile and expresses that to us. We all have something worth loving. The challenge is finding the right partner who recognizes this and let’s us know it. Don’t settle for less.